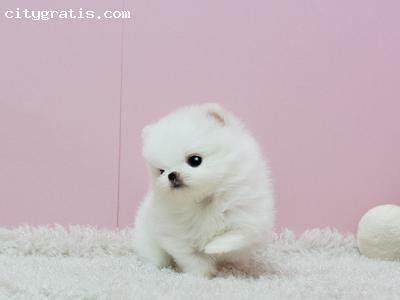 Gorgeous Teacup Pomeranian pups, 1 male and 1 female, AKC registered. Parents are family pets; both mom and dad are 4 lbs. All are loving, friendly and very playful. 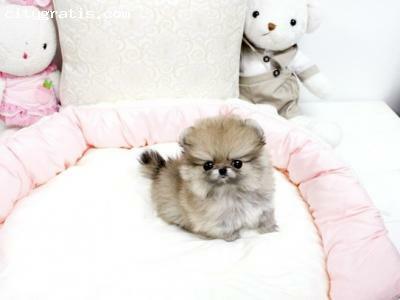 Have been raised with children and other pets. Tails docked and dew claws removed, vet check and first set of puppy shots included.